Burrito blankets are available in Australia so wrap yourself up like a snack. There is no feeling quite as cosy as being completely wrapped up in a blanket. You are warm. You are safe. Now imagine all that, but with the added novelty of the blanket being a BURRITO. Holy guacamole, that just became possible. It looks just like a real burrito, except it’s 1.5 metres wide, made from a polyester cotton blend, and you can wrap yourself in it. While it was an Amazon burrito blanket that initially went viral, it quickly sold out. So we found a very similar one on Etsy, which can be shipped to Australia, and the people love it. The blanket has been reviewed with 5 stars. "I absolutely love iiiiiit. Shipped quick and omg its just perfect dude," wrote one happy customer. 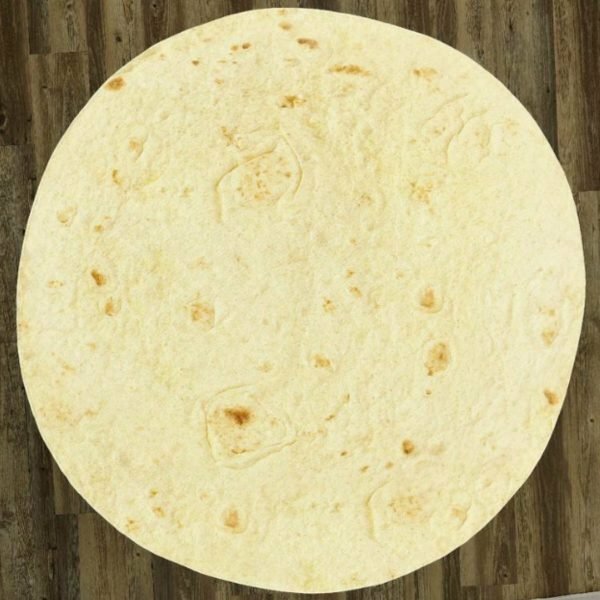 "Exactly like a giant flour tortilla. Super soft too," wrote another. It&apos;s perfect for a night on the couch, watching romantic comedies, eating the real burrito you just ordered in. 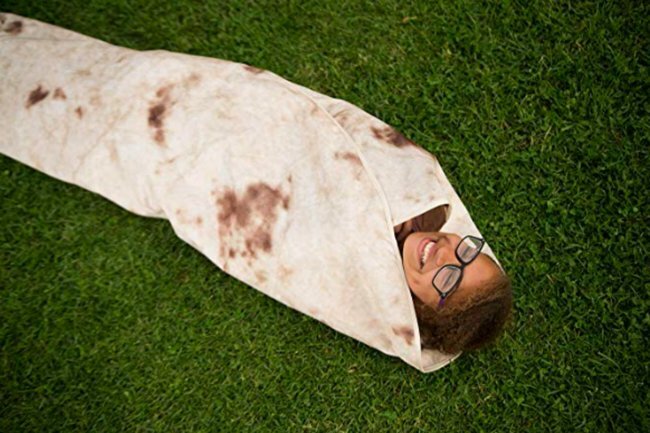 You can buy yourself a burrito blanket on Etsy.